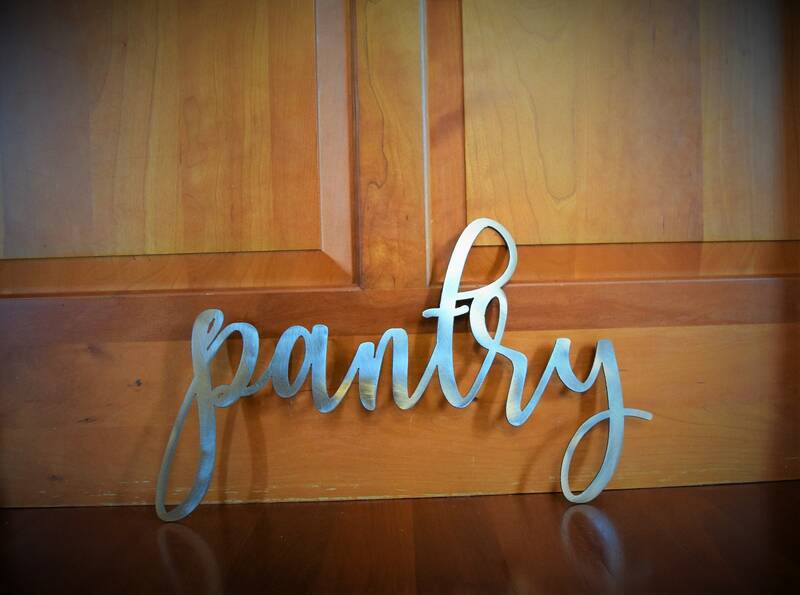 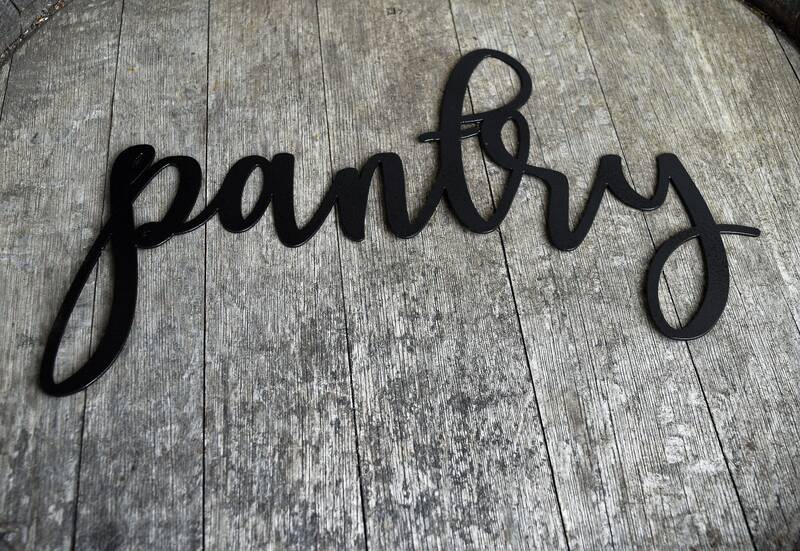 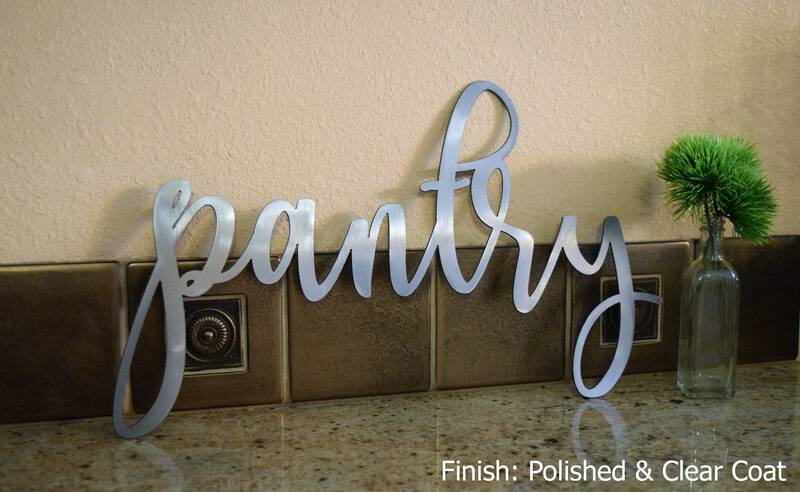 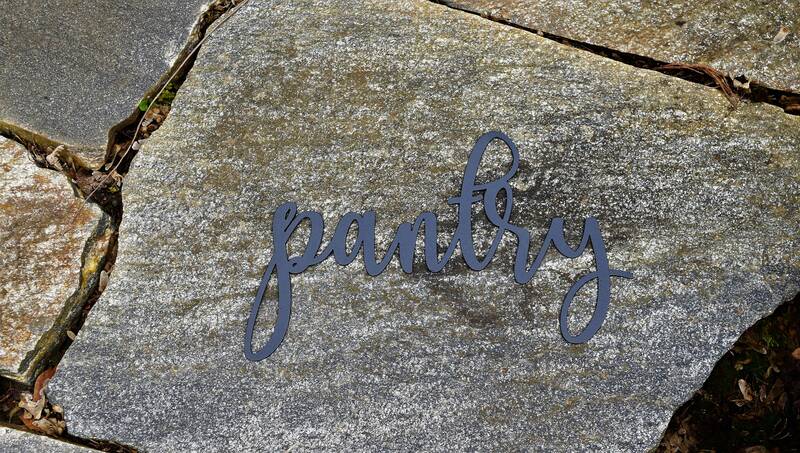 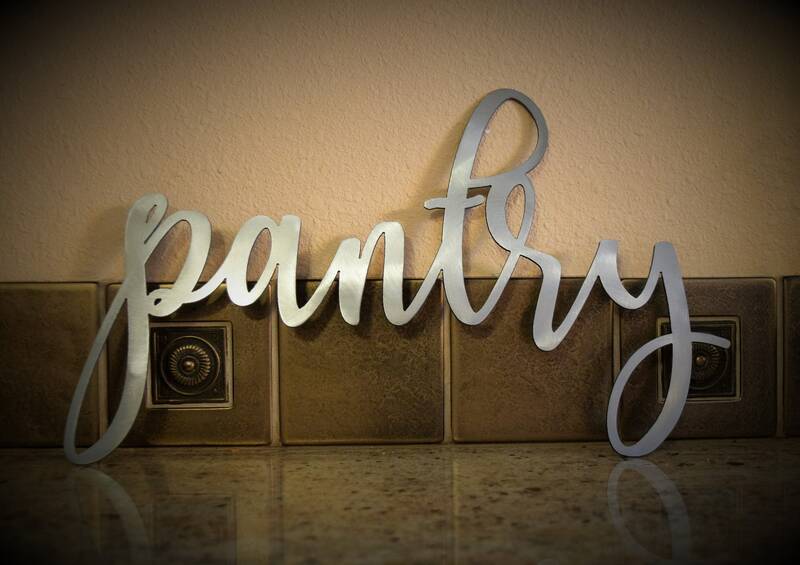 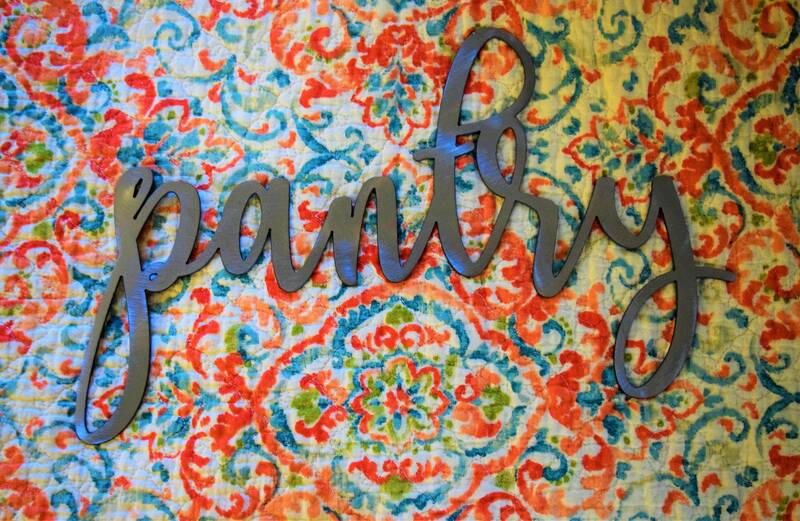 • This is a custom metal "pantry" sign and is made from steel. 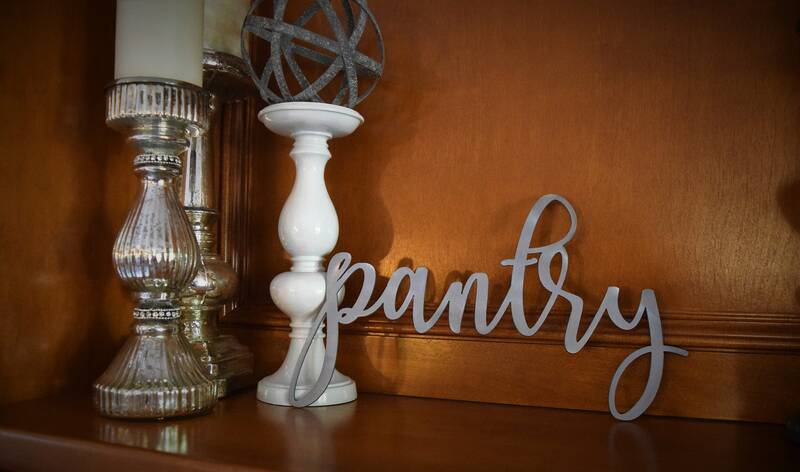 This product will make a great addition to any Kitchen, pantry, or dining area. 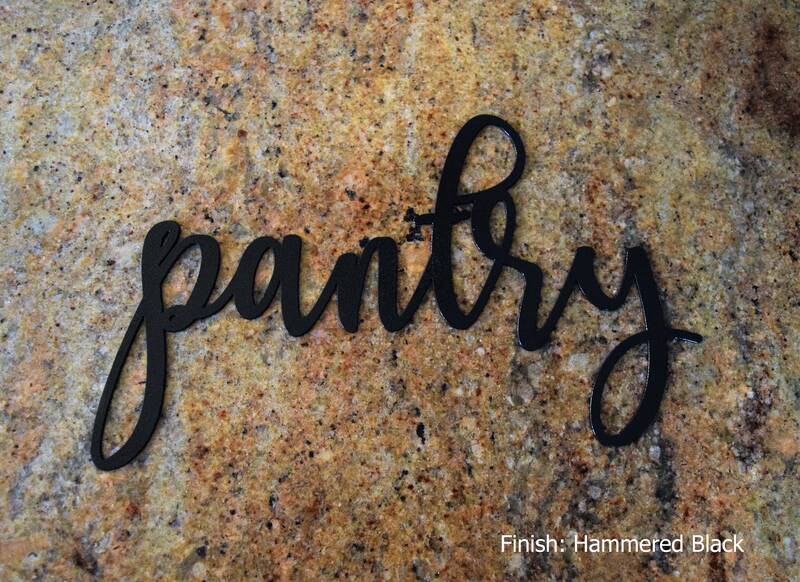 • Hanging: The "pantry" signs do not have hooks on them. 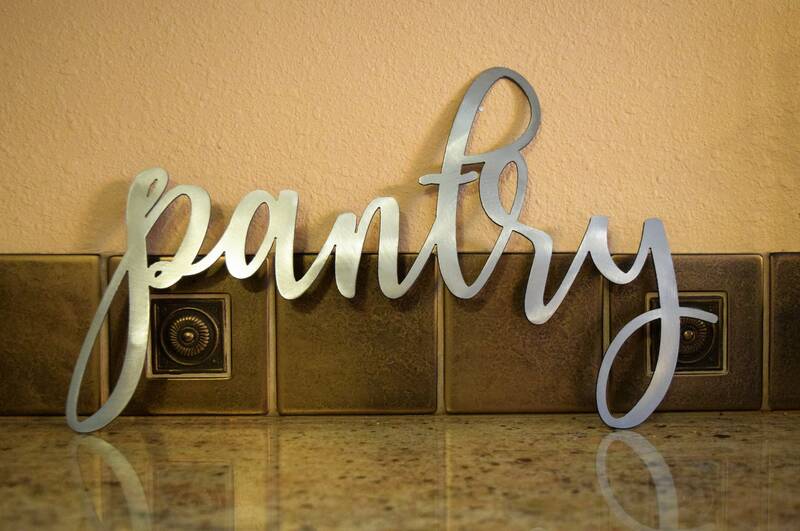 They are a completely flat piece of metal.